Depending on the cultural and historical context, dogs either rule as man’s best friend, or they get classified as both pests and menu items. The animals known around the world as Canis lupus familiaris are the domesticated versions, bred over the course of thousands of years to either help humans in a work task or to keep them company. Wild dogs, the undomesticated canidae species, call all the continents of the world (except Antarctica) home. North America hosts coyote, wolf and fox species in four genera: Alopex, Canis, Urocyon and Vulpes. 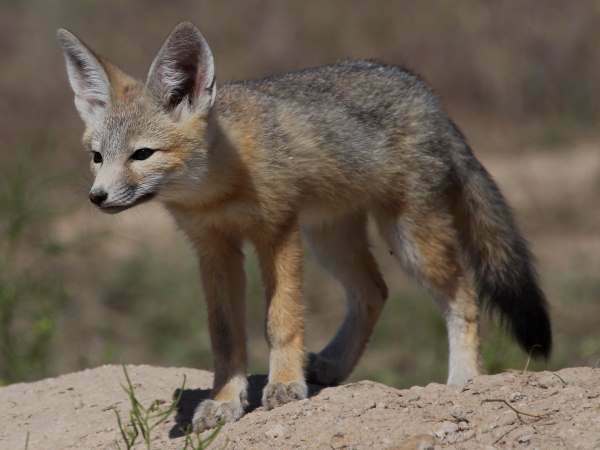 The picture shows a Kit Fox. It’s a Southwest resident with some additional Western spillover. Nothing says fox like a red fox (Vulpes vulpes) pictured at the top of the page. In fact, one might say it’s a fox so nice they named it twice, and it holds the record as the widest ranging of not only all the Canids, but all of the Carnivores. Highly adaptable, it occupies a variety of North American ecosystems from the Arctic Circle, south to the Florida peninsula. While they are known to live around residential areas, they are normally wary of human presence. Within their territory, often they can be viewed from a distance on a sunny day taking in some rays and scouting their territory. 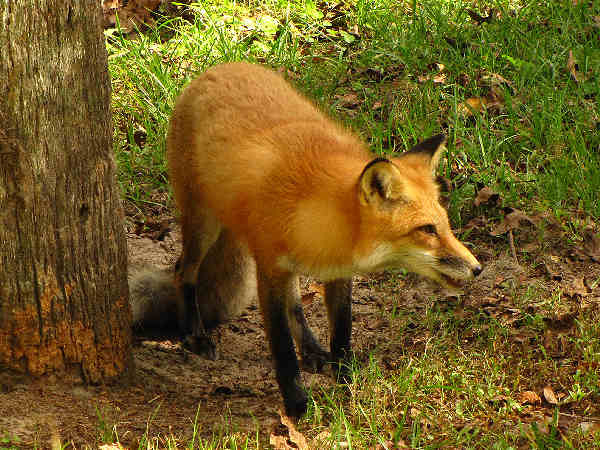 Contrary to the name, the Red Fox comes in a variety of colors, including Red, White, Silver (or black) and Cross (Red with a black stripe). 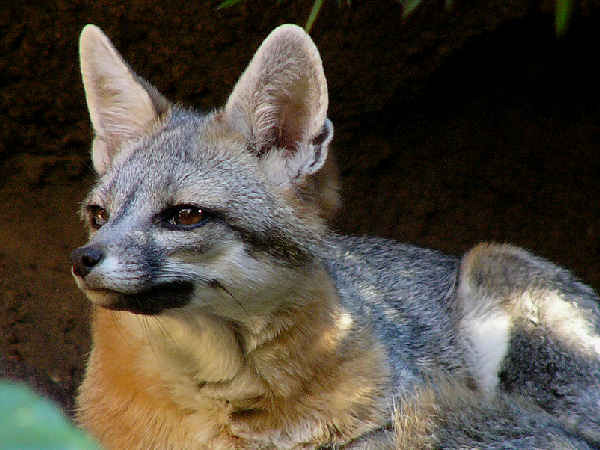 Gray Fox are not quite as wide ranging as the Red Fox, however they can be found in most areas of the United States with the exception of the Pacific Northwest and Upper Rocky Mountains. 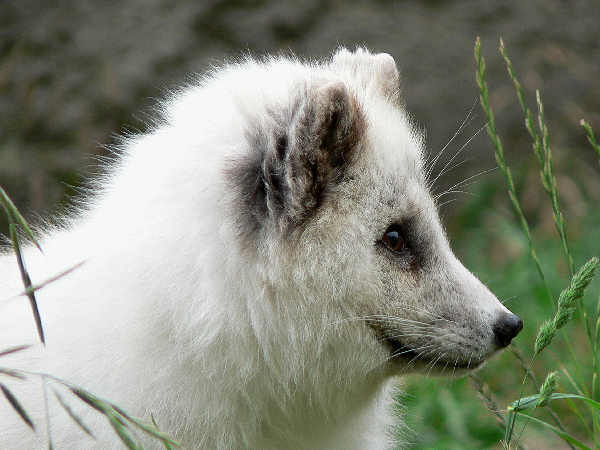 The white coat of hair is the easy way to identify the Arctic fox. Actually their coat changes color according to the season to help with camouflage. During the summer season the coast changes to brown. They can be found along the coastal areas of Alaska. In addition to fox, coyote and wolves constitute the remainder of North American wild dogs. Nothing quite says home on the range like the howl of the Coyote (Canis latrans) or a wolf at night. Coyotes are native North American wild dog with roots from Alaska to Florida. Unlike their larger relatives, the wolves, coyotes live in small family units rather than large intra-family packs. Occasionally young transients will encroach on an established territory and temporarily join a family pack. 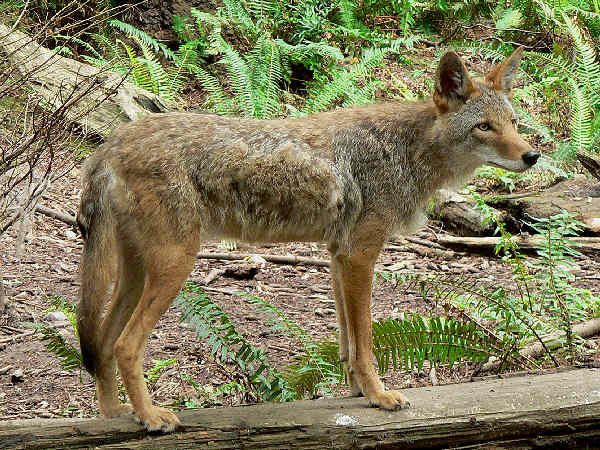 Average coyote size similar to a medium sized domestic dog. Males can weigh in at the forty pound mark, with females often weighing up to twenty five pounds. Like dogs, they easily adapt to human surroundings. Despite their similarities with domesticated dogs, conflating coyote behavior and pet dog behavior can be problematic. In some urban and suburban areas, for example, pet owners receive alerts to keep an eye out for coyote attacks, less their pets become coyote meals. Also unlike dogs, after centuries of hunting, coyotes are wary of human presence, and they often make their appearance in residential neighborhoods during night time hours. Perhaps the title of most controversial Canid species gets reserved for the Gray Wolf (canis lupis). Once it ranged extensively through the Northern Hemisphere. Hunted close to extinction, in 1973 they received protection under the terms of the Endangered Species Act. Their subsequent reintroduction to areas of the Pacific Northwest, Upper Mid-west and Southwest continues to spark controversy. Gray wolf biology, fairly well known, tells the story of carnivores mammals that live and hunt in packs. 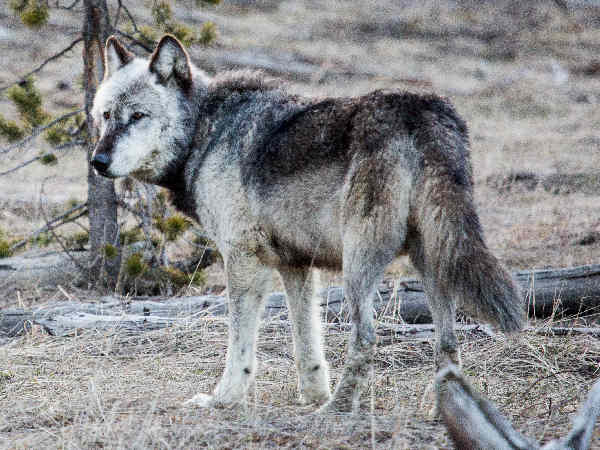 Depending on the season or territory, packs can consist of a family of adults and young or an intra-family non-competitive or non-breeding individuals. Group work allows packs to prey on large game in their territory such as deer, elk, moose, caribou, and of course domestic livestock where available.